Negotiate the right price for the right content with two-way bidding between Creators and Marketers. Set maximum bid thresholds to drive budget efficiencies. 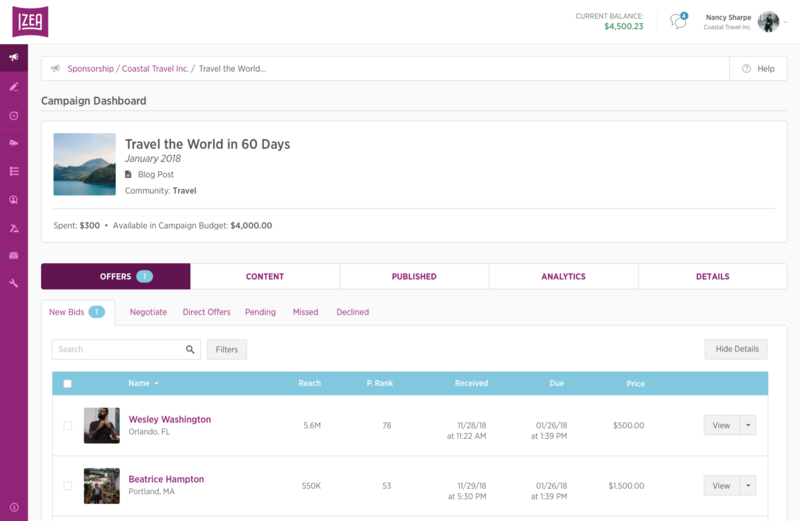 Programmatically match your bids with the best-fit Creators across demographic, socio-economic, and geographic criteria. Programmatically filter Creators across key platform metrics and indicators. Segment Creators by key audience demographic metrics including age, gender, language and income. Set your desired targeting criteria and IZEAx programmatically matches you with Creators whose profile data aligns with your opportunity. Reach out directly to Influencers and Creators you discover to streamline negotiations and activate quickly. Find the right Creators and vet their profiles via Platform Search. Dig deep into comprehensive Creator profile data to gain insight into Creators’ key performance indicators across their social graph. Set the right price for the right Creator and never overpay. 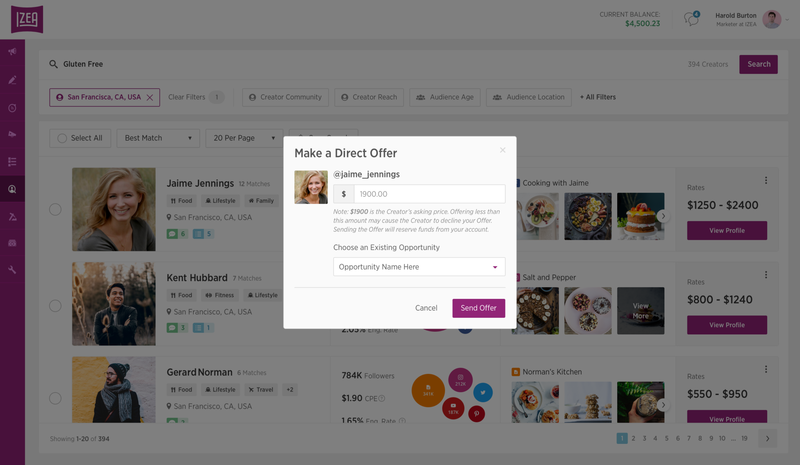 Collaborate directly with Creators in-platform on campaigns and opportunities. 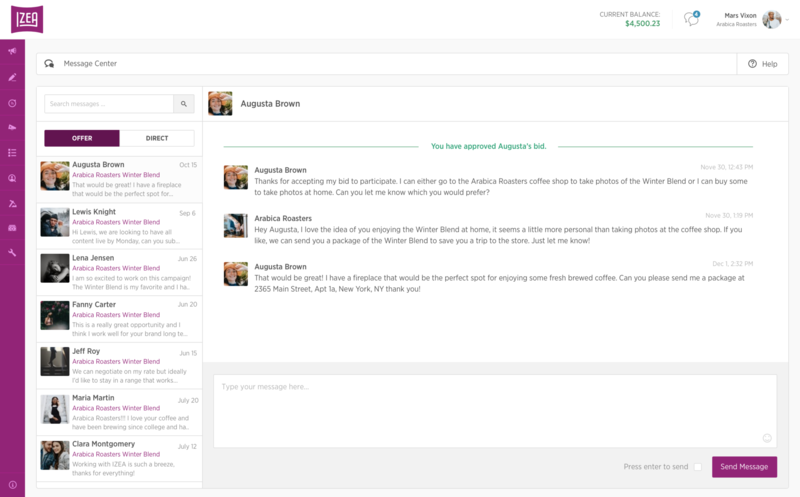 Chat with Creators to give instruction, answer questions, or provide feedback. See all Creator communication in one centralized dashboard that makes messaging Creators seamless and efficient. Track previous requests, instruction, and communication with Creators.